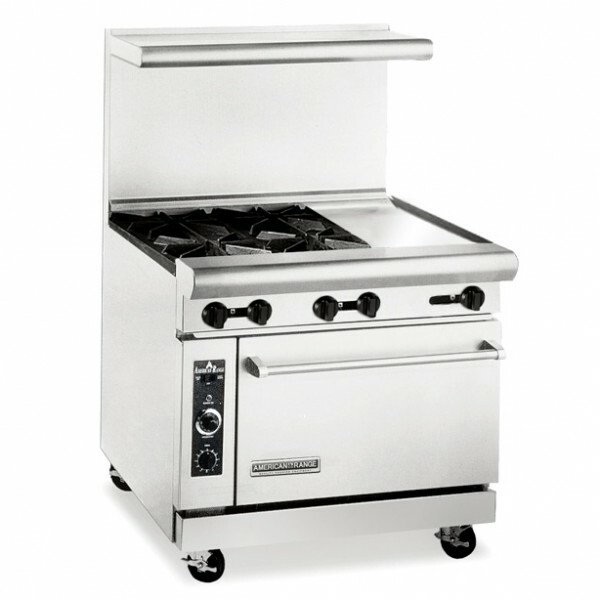 American Range 36″ 4 Burner Commercial Restaurant Range with 12″ Griddle and Standard Oven AR-12G-4B – A1 Restaurant Equipment Inc.
Lift-off, gasketless cast iron burners rated at 32,000 BTU each. 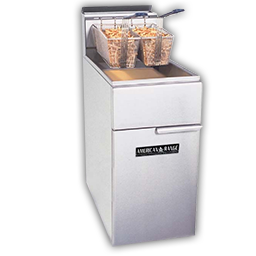 All-purpose head is standard. 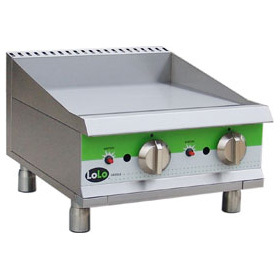 Highly polished griddle plate, 5/8” thick and 21” deep cooking surface. 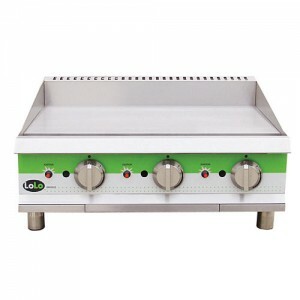 Spatula size 3” wide grease trough with deep grease drawer. 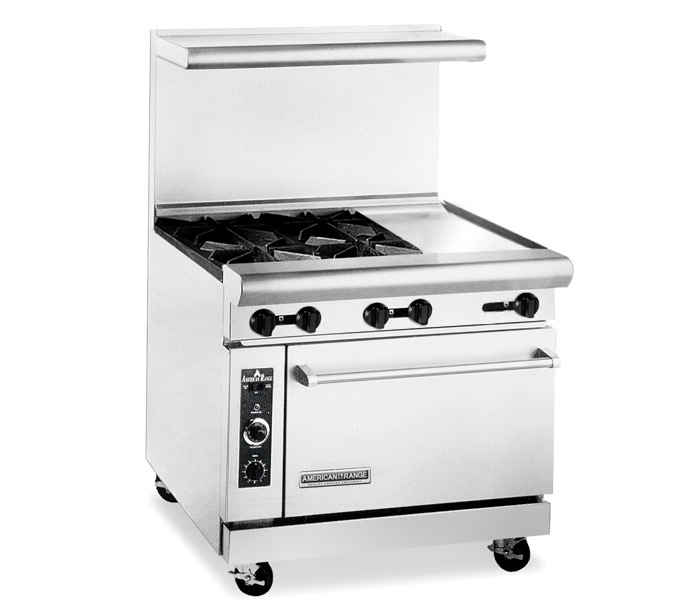 Steel burner rated at 20,000 BTU for every 12” of griddle surface. Griddle location on left side of range is standard. Manual control gas valves are standard.